Lindsay Allason-Jones has been at the forefront of small finds and Roman frontier research for 40 years in a career focussed on, but not exclusive to, the north of Britain, encompassing an enormous range of object types and subject areas. Divided into thematic sections the contributions presented here to celebrate her many achievements all represent at least one aspect of Lindsay’s research interests. 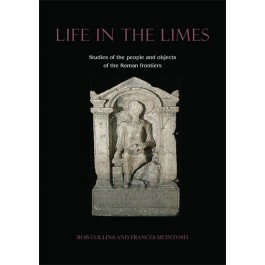 These encompass social and industrial aspects of northern frontier forts; new insights into inscribed and sculptural stones specific to military communities; religious, cultural and economic connotations of Roman armour finds; the economic and ideological penetration of romanitas in the frontiers as reflected by individual objects and classes of finds; evidence of trans-frontier interactions and invisible people; the role of John Clayton in the exploration and preservation of Hadrian’s Wall and its material culture; the detailed consideration of individual objects of significant interest; and a discussion of the widespread occurrence of mice in Roman art. "This work will be of interest to specialists in the topics covered, but also to amateurs who can find in these different snapshots a way to understand life on the Roman frontier...this tome is a fitting tribute to the career of [Allason-Jones] by her colleagues." "The volume will find its natural home on the shelf of a specialist library It must be admitted that the editors have compiled a fitting tribute to the work of Lindsay Allason-Jones by her colleagues."